NOTE: DONT PAY ATTENTION ON THE DAMAGE AND HOW MUCH CHAKRA IT COSTS AT THE BOTTOM OF EVERY JUTSU. By hyper-accelerating the growth rate of a seed, a user will concentrate the chakra into the seed and shoot it at a target. Once the seed hits something, regardless of who or what that is, the seed soon unravels and many vines wrap around the target's arms and legs, thus restricting their movement greatly. | Chakra- 10 | Genin | Strength of 3 required to remove the vines. Vines die off after three posts. A variation of the Seed Growth Skill, this jutsu causes the grass below an opponent's feet to rapidly grow and wrap around the victim's hands and feet, binding them. | Chakra- 25 | Chuunin | Strength of 5 needed to break free. Combining the basic principles of the Shyushi Kasei and Shyushi Karamari, the ninja is able to make vines coil around his own body. When this step is done, he channels chakra into the plants around him and uses a variation of Kusa Ihara, thus forming converting these harmless creepers into thorns. This jutsu is designed to deter opponents from getting too close, provides a mild defense against weak taijutsu attacks, and will bruise. | Chakra- 30 | Damage- 10 | Chuunin | The vines die after five posts. After the user places a seed in the ground and infuses a large amount of chakra into it, the seed bursts open and a group of roots quickly make their way to their intended target and spring up from the ground. The roots entangle around their victim's legs and slowly begin dragging them below ground over the course of about 20 seconds (3 posts). | Chakra- 30| Advanced Chuunin | Strength of 7 needed to break free of the roots. By planting a seed in the ground and infusing it with chakra, the user causes roots to burst from the ground below an opponent and entangle him or her. The roots are hardened with chakra, making them harder to break then normal. | Chakra- 30 | ANBU | Strength of 10 needed to break free. By using a seed and large amounts of chakra, the user grows a small forest of thorny vines in the immediate area. The vines appear and grow almost instantly, impaling and wrapping around anything they can. This attack usually takes around 15 seconds for a forest to be fully grown and stopped, during this time the user cannot remove his hands from the ground or the jutsu will immediately end. | Chakra- 150 | Damage- 150 | ANBU | Strength of 8 needed to break through the vines if entangled. The user creates a large amount of thorny vines that assemble themselves into a humanoid form that then is transformed using a variation of henge no jutsu to look like the user. The clones aren't particularly powerful, but they are a walking trap. If the clones touch something (whether they attack or are attacked) they immediately break down into their base vines, which lash out and grab the person. | Chakra- 20 (Per Clone) | Jounin | Clones have 10 HP, 8 Strength and 5 Agility, they deal 10 damage while constricting (every post). By hyper-accelerating the growth of a particular seed, one granted to only the most devote and elite of the Grass by the Kusakage, it can be transformed into a wild plant life that moves and attacks on its own will. This particular creation, technically not a summon, is an automaton consisting of grizzled tree bark, razor sharp leaf blades, various type of vines, and spongy growths. Its form can only be described as "humanoid." Only one can be created at a time, since no shinobi thus far, not even a Kusakage, has been documented to control more then one. | Chakra- 150 | Advanced Jounin | The creature has 200 HP, 25 Strength and 10 Agility. The Creature Dies after 7 posts. By hyper-accelerating the growth of a particular seed, one granted to only the most devote and elite of the Hidden Grass Village, it can be transformed into a wild plant life that moves and attacks on its own will. This particular creation's form can only really be described as "monstrous," as it has no definite form and is merely a huge mass of animated grizzled tree bark, razor sharp leaf blades, various type of vines and spongy growths that move on their own. 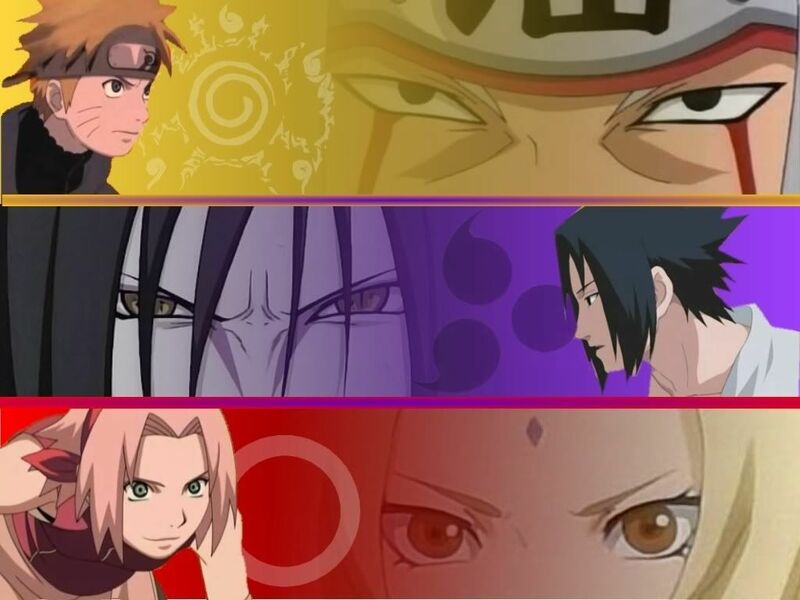 Only one can be created at a time, since no shinobi thus far, has been documented to control more then one. The attacks of this particular golem, though, vary from simple swiping attacks resembling a barbarian in nature, to more advanced techniques that include some of the Grass' arsenal. | Chakra- 300 | S-Rank | The creature has 300 HP, 200 Chakra, 25 Strength and 10 Agility. The creature Dies after 10 posts, and may not use any jutsu the post that it is summoned. - The creature may perform any ninjutsu listed in this post.